Brighten your autumn nights on a wondrous journey through the Japanese Garden at Maymont. 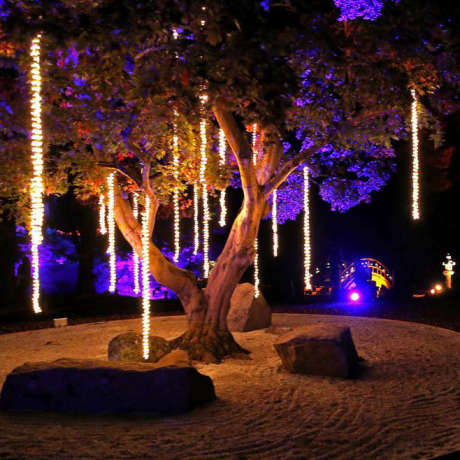 The garden will shine with dramatic light displays for an enchanting experience to delight families, couples and nature lovers of all ages. Admire colorful sparkles and shimmers within the cascading waterfall, stroll among towering trees that stand aglow, and marvel at the breathtaking illuminations of winding waterways, rolling hills, bridges and lanterns. Advance tickets: $12 adults/$7 children ages 4-12. Free for ages 3 and under. For more information, visit maymont.org/garden-glow or call 804-358-7166. Entry at Historic Estate Entrance gate.